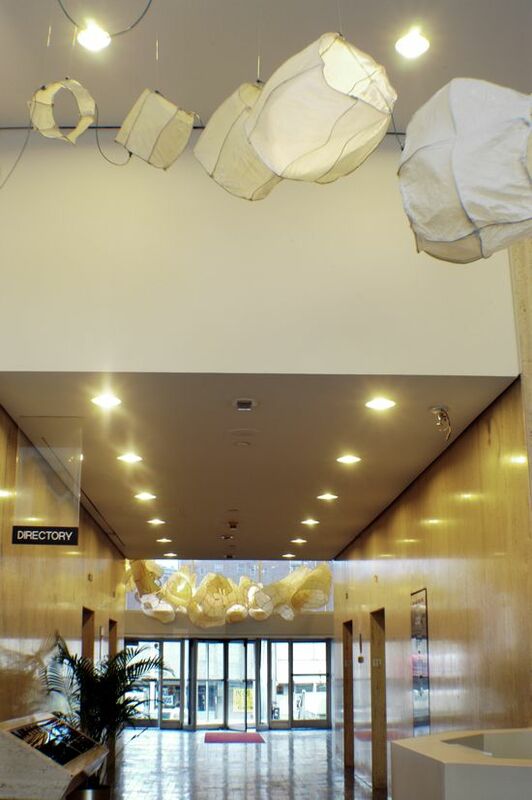 Inside-Out (Adentro/Afuera) 2003 is a large-scale installation commissioned for adjoining lobbies at 100 Hamilton Plaza in Paterson, NJ. 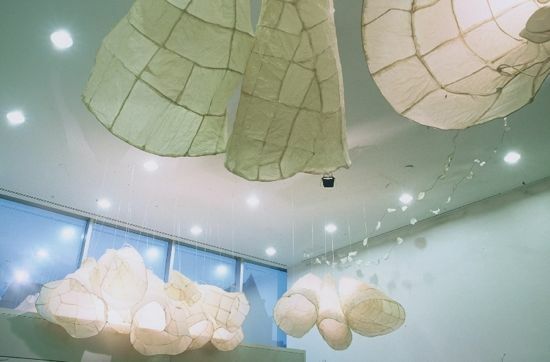 The installation is designed to unify two disparate spaces, to make use of the tall ceiling and natural light and to create a space where visitors to this busy building may find something surprising and magical to engage them. 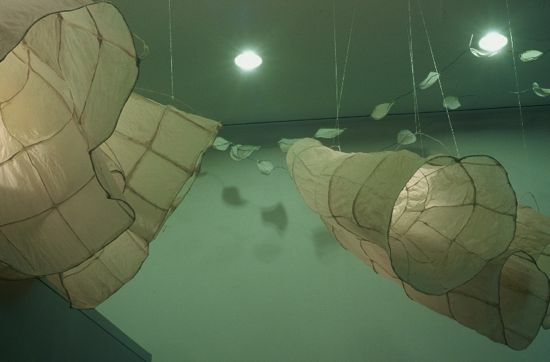 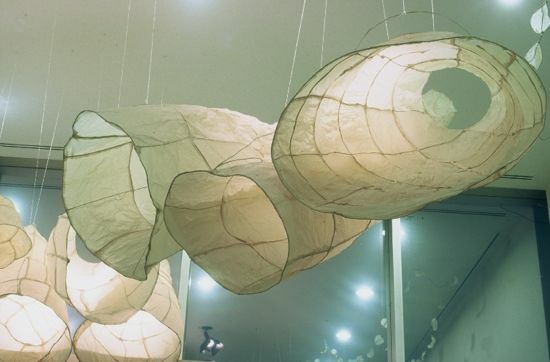 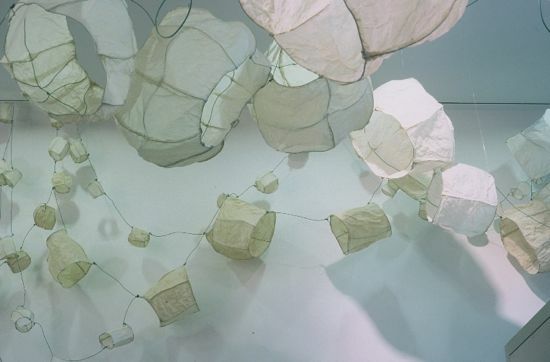 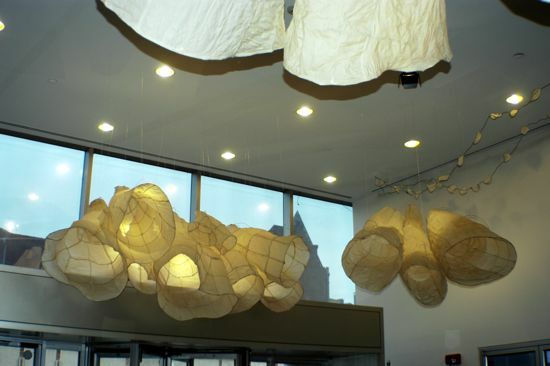 The installation consists of hundreds of hanging elements made of translucent abaca paper stretched over armatures of electrical wire and garden fencing.